Advent is a season of reflection and anticipation. As we look back to the distant past, we can clearly see the beauty of God’s faithfulness. He remained steadfast to His promises to bring forth a Savior; valleys were exalted, hills made low, and the glory of God was displayed in a humble stable. The prophets of old foretold of the humility of the birth of Christ and prophesied of his meek estate. The King of the universe condescended, donning a robe of flesh, and became man. 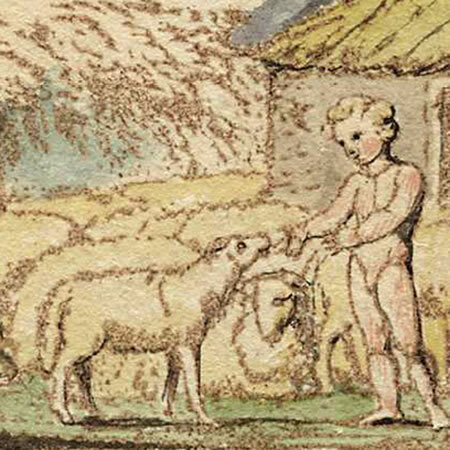 In his poem, “The Lamb,” William Blake uses the barnyard imagery of a child speaking to a little lamb to express the realities of the incarnation of God. Blake reflects on Christ’s characteristics, being meek and mild, born as a helpless child. Sir John Tavener set Blake’s text in 1982 for his nephew on the occasion of his third birthday. Tavener’s setting is sung most frequently as a carol during the Advent and Christmas seasons. His four-part, homophonic music uses the intense dissonance of minor seconds and tritones juxtaposed with choral unisons in order to express the mysterious nature of the incarnation of the Lamb of God, Jesus Christ. The combination of Blake’s words and Tavener’s music expresses the dichotomy of the complex yet simple coming of Christ. The Advent season offers an opportunity to reflect upon the acts of God, as Christ came to earth in the form of a servant and was obedient to death, even as a Lamb before the shearer. May our ears hear the carols of our faith with all of their beauty and depth. May our hearts be filled with gratitude and wonder this season as we contemplate the miracle of Christ’s incarnation. Gave thee life and bid thee feed. Aaron Rice is a doctoral student at Southwestern Baptist Theological Seminary. ‹ Is beauty in the eye of the beholder?